We are using HPwallart service. We set a wall up for 52"wide by 76"tall, and then upload a pdf 52"wide by 76" tall. However part of the image is cut off top/bottom. It moves up/down, but does not move left/right. Can anyone explain why this art does not just snap onto the wall? Here is a screenshot. Pdf left, then how HP wallart renders it on right within browser. See the differance and what it is cutting off. Screen Shot 2014-10-07 at 5.14. HP WallArt, automatically applies a buffer on the sides of the backgrounds. This buffer area has been designed to prevent alignment and trimming problems during the installation on the wall surface. Because of this, it is not possible to use the full extent of a background image, as some parts of it will be included in this buffer area. To avoid this behavior, you can easily create the wall size of 52”x76” and upload the pdf image as an object. 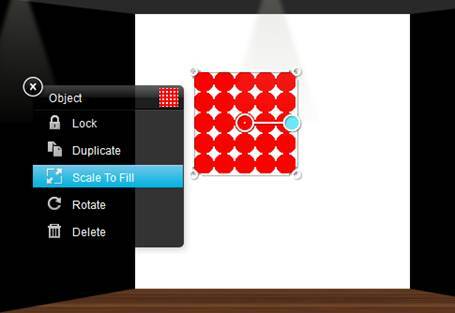 Afterwards place the object on the wall and use the “Scale To Fill” feature, which will expand the object to fill the entire wall.